There's the kind of earnings investors can take to the bank. And then there's the kind the bank can show to investors. Word to Wells Fargo & Co. investors: Beware the second kind. Now the little creatures eating up our economic base would dearly love to think that they are 'building America.' But driving us all into debt isn't building much of anything. Indeed, unlike in the good old days of early capitalism when people raised money to build rail roads or canals or bridges, this money is for goofy things like McMansions that don't increase wealth but consume wealth. Older mansions, when put up for sale during the inevitable downturns, we call these things 'White Elephants'. All mansions require staff to run. I once owned one. I was the 'staff'. I even would go up on the slate roof, three stories high, and fix things in storms. I waxed the fancy parquet floors and polished the elaborate Art Deco brass that was all over the place, even the hinges of doors were fancy brass designs. Stained glass windows, huge Corinthian columns 3' in circumference, an entry hall the size of large livingrooms...it was gloriously beautiful and ate money like crazy...except I used it as a training site for the communist Chinese who were overwhelmed by the glory of this mansion, little did they know I was madly juggling the books and frantically trying to improve the building so I could unload it in an 'up' market! I made $1,400 a month in that mansion but it was too much work! Wells Fargo lent to goofy buyers looking for housing way outside of cities where the commutes are killers. These houses are going to be abandoned when oil hits $150 a barrel. Already, oil is half way there. If these houses with 30 year mortgages will be 'habitable' in 30 years, this is pure fantasy. Impossible. My mansion, by the way, was a short hop to the oldest commuter line in New Jersey, the train to lower Manhattan. This is where stock brokers would move and this is why it was a valuable property even in a bad recession. I knew, the minute people could borrow money, thanks to the oil rationing back then, they would rush to move into this old pre-WWI mansion community. Level 2 values are measured using ``observable inputs,'' such as recent transaction prices for similar items, where market quotes aren't available. Call this mark-to-model. Then there's Level 3. Under Statement 157, this means fair value is measured using ``unobservable inputs.'' While companies can't actually see the changes in the fair values of their assets and liabilities, they're allowed to book them through earnings anyway, based on their own subjective assumptions. Call this mark-to-make-believe. Level 3 is 'Welcome to Fantasyland, Peter Pan will be your guide.' No sober bank should be allowed 'fantasy-no see-um- valuations.' This is pure silliness. Aside from the stupidity of writing 30 year mortgages on properties that will be totally uninhabitable in 30 years much less, lending for building stuff that gets wiped out by hurricanes or floods OR EARTHQUAKES every 30 or 50 years, the insanity of all this is ignored as everyone pretends there is no downside to all these lending schemes. Of course, in the old days when I was an adult already, banks gave 'ordinary' mortgages that were quite simple: you paid off nearly all the interest due on the mortgage (I usually had 20 year stints) during the first half. This is why, if you flip a house, you pay a penalty. I didn't mind this penalty because I only flipped properties when the profits were 200% better than the sale price...I admit, I bought at the bottom of markets. If a $100,000 house rose to $300,000, I sold. And didn't mind the overhead. To continue: because of this, the bankers didnt' worry about abandonment or bankruptcy because in a few years, the top 50% of the interest due was paid. So if they did have to take back the property, they didn't need to sell it for nearly all the mortgage due because they had leeway from the interest paid to fudge things in a downer market! But today, we see a flood of people who paid ONLY interest and NO principal at all, going under. On top of this, they are doing this in less than two years! Yikes! We can't square this circle. And it is getting worse, not better. So banks are being hammered, people holding these trashy tranches scattered about in a zillion funds across the planet, are in trouble since no one has paid off ANY PART OF THESE LOANS! The illogic of the lending system today is painfully obvious so of course, everyone involved is now lying about their involvement and the consequences of this collapse of equity assets. 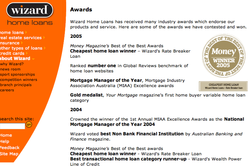 One of my readers in Australia, Tom M, has alerted me to a Countrywide clone, Wizard Lending. Seems the US isn't the only one flirting with foolish lending. This style of lending is now nearly universal in the UK/USA empire. Everyone sees the obvious potential for profits since selling the mortgages they create is where they make money so they have no worry about if these will default long before even 10% of the interest is paid, forget principal! So we have a huge pile of billious properties vulnerable to destruction that don't have any method, none at all, for paying off either the mortgage or principal! The Australian Competition and Consumer Commission has instituted proceedings in the Federal Court in Melbourne against Wizard Home Loans Pty Ltd, alleging breaches of the misleading or deceptive conduct provisions of the Trade Practices Act 1974. The ACCC alleges Wizard breached section 52 of the Act by placing advertisements for Mobile Lending Managers (MLM) in newspapers in New South Wales, Victoria and Queensland which were liable to mislead the public as to the nature of the MLM position. The ACCC alleges the advertisements were likely to mislead persons into believing the MLM positions were employed positions when in actual fact they were self employment opportunities. The ACCC further alleges that annual remuneration figures provided to MLM's were likely to mislead. The ACCC is also taking a representative action seeking compensation on behalf of an individual that responded to an advertisement and accepted an MLM position. HAHAHA. They became top kangaroo by lying about money. I have noticed more than one organization in real estate has tried this trick. Pretending one can be hired by an organization only to find out, one is just a pure-on-commission sales rep with not even costs for gasoline thrown in! Also, they send these poor people out on wild goose chases as they solicit 'customers' with false promises that only very bad credit risks respond to. I have done sales and the easiest sales are to people on the verge of bankruptcy. I sigh, when I see their bank records and outstanding debts and end up discussing their financial follies instead of trying to make things worse. The people with cash are the most difficult sales. They want everything at the cheapest level and every detail spelled out and then they want some give-back. Australian Treasurer Peter Costello urged commercial banks not to use the surging cost of funding caused by a global credit crunch as an ``excuse'' to raise mortgage rates. ``The fallout from U.S. failure is no reason at all for Australian banks to move their interest rates,'' Costello said. Non-bank lenders who rely on the U.S. short-term debt markets may have to pass costs onto customers, Costello told reporters in Melbourne today. ``Borrowers may well feel that,'' he said. Oh my god! As record defaults send the entire system downhill, the Australian government wants cheaper loans? How insane is this? I have tried as hard as possible to show there is a direct link between too-cheap loans and financial collapse. The cheaper the loans, the cheaper the energy, the deeper into debt people go until they reach 100% of all possible debt! This is, for a government, totally unacceptable. So why are they all encouraging this? This should be discussed more broadly but I seem to be the only other person on earth who sees the dangers of cheap loans. The recent banking seizures was due to too-cheap loans. Everyone wanted more interest to accurately reflect true risk. This was politically unpopular with the ruling elites so they used an eye-popping sum of nearly a trillion dollars injected into the banking systems this month, all in order to drop interest rates down enough so that everyone will continue to pile on debt! This is pure insanity. A trucker has sued the Drug Enforcement Administration, seeking to get back nearly $24,000 seized by DEA agents earlier this month at a weigh station on U.S. 54 in New Mexico north of El Paso, Texas. Anastasio Prieto of El Paso gave a state police officer at the weigh station permission to search the truck to see if it contained "needles or cash in excess of $10,000," according to the American Civil Liberties Union, which filed the federal lawsuit Thursday. Prieto told the officer he didn't have any needles but did have $23,700. They confiscate cash! Just remember this, everyone, the government is addicted to confiscations. They will take anything, anything they can. The archane rules and regulations are significantly worse now with the fake War on Terror which is all about confiscating anything that is liquid. Meanwhile, they throw billions to banks and tell them, they don't need to follow regulations or laws. One morning in 2005, an unusual letter arrived for Rev. Barry Parker at St. Paul's Anglican church in Toronto. The news: A member of his flock was out to swindle the parish. The letter goes on to say that the allegedly wayward parishioner, an insurance executive named Prem Watsa, was bilking shareholders of Toronto-based Fairfax Financial Holdings Ltd.
``I am perplexed by the mystifying, spectacular rise of this insurance medusa,'' the typed letter reads. ``Be aware, Father, be skeptical and ask Mr. Watsa to make a full confession.'' The note was signed P. Fate. The return address was that of St. Patrick's Cathedral in New York. Stranger still is what Fairfax says is the source of the letter: A cabal of hedge fund managers -- among them James Chanos, Steven Cohen, Daniel Loeb, David Rocker and Adam Sender -- hoping to profit from a slump in Fairfax stock. Fairfax, which has a history of accounting lapses, sued eight hedge fund firms for racketeering in July 2006, demanding $6 billion in damages. The insurer says the letter to Parker, excerpts of which were included in its complaint, was just one of many dirty tricks the fund managers used to smear the company, which has 8,000 employees and $26.8 billion of assets. The hedge funds deny wrongdoing. ``This case involves a spurious attempt by Fairfax, a publicly traded Canadian company, to use New Jersey's anti- racketeering statute to silence all stock market analysts critical of Fairfax and to deter investors from 'shorting' its stock,'' wrote lawyers for Sender in a memorandum supporting the motion to dismiss. This is a convoluted story of two hedge funds at war with each other. The characters here have no character but are all money-hungry hell beasts. The M16 gang, a delightful name for a hedge fund, used strongarm harrassment tactics which are purely illegal. But the guys suing everyone for talking about their bad business are also illegal. They want to shut eveyrone up just like that Jersey hedge fund tried to do to me the other day! All these guys, pirates with tempers and a desire to work in the dark, are trying very hard to scare everyone into silence. The Goverments should be hammering them for this, not passing them trillions of dollar on easy loans! 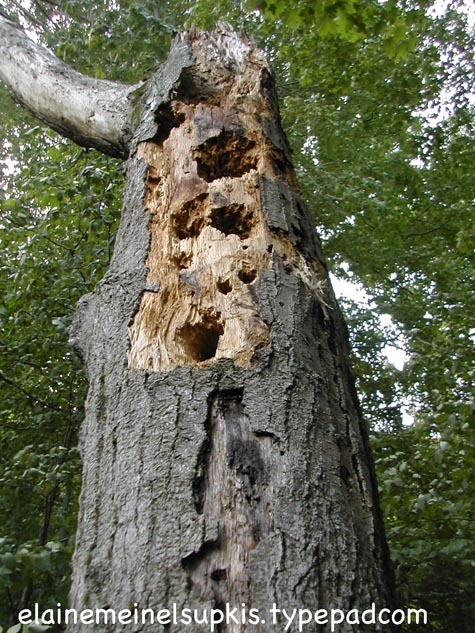 But of course, this is on par for our culture: the termite filled tree about to fall. Banks worldwide have $891 billion at risk in asset-backed commercial paper facilities because of credit agreements that ensure investors are paid back when the short-term debt matures, Fitch Ratings said. The investment vehicles, which carry top credit ratings, sell debt that matures in one to 270 days and invest in longer-term securities with higher yields, Fitch said in a report. Some of those securities are subprime mortgage bonds, which have been losing value as default rise to the highest in 10 years. So, the flood of $500 billion (or more) was just to stop the bleeding from the housing market crash from destroying ANY lending. But this next monster is nearly twice as big. It is funny how each crisis this year is bigger than the last. And this should be a warning. They will, they are certainly, going to be bigger and bigger until they dwarf all the central banks except for the Bank of Japan and the Bank of China. And maybe they will be overwhelmed, too. Remember: $3 trillion is the limit. U.S. stocks posted their biggest advance in five months, boosted by speculation the Federal Reserve will stem losses in credit markets and revive this year's record pace of takeovers. Stocks rebounded from a monthlong skid that sent the Standard & Poor's 500 index down 6.9 percent as economic reports showed new-home sales and durable-goods orders rose. Lowe's Cos., the second-largest U.S. home-improvement retailer, climbed the most in four years as its profit topped analysts' estimates. Free money! I hear the Federal Reserve Ice Cream truck rolling all around lower and midtown Manhattan, blaring circus music. Come, children, and get your cheap ice cream made in Asia! And don't worry about it being poison. It is good! Mr. Goodbar guarantees this. We still don't have much more than a few wacky clues as to what has transpired this last two weeks. But in my bones, I know that the Fed has decided to save Wall Street and the banking system from their own, malicious follies, by giving us a gift that never stops giving: inflation. Stock markets around the world are rallying in the wake of the Federal Reserve's decision to cut its lending rate to banks to help avert a credit crisis. So, to save super-rich Jeffy, we are going to kill our entire economy by causing huge inflation? Great. I hope Jeffy enjoys his ice cream cone. As long as his assets rise faster than inflation thanks to the magic of cheap interest rates running below the rate of inflation, he is a happy little boy. Asian currencies gained this week, led by the Singapore dollar, on speculation the region will keep attracting overseas investors to local stock markets. The Singapore dollar rose 0.9 percent in the past five days to S$1.5241, the best weekly gain since May 2006. Consumer prices climbed in July at the fastest pace in more than a decade, a report showed two days ago, suggesting the central bank will maintain a policy to strengthen the currency to curb inflation. Yup, you can bet, the Japanese will make as many Asian currencies rise as fast as possible. They must do this to get rid of inflation. My next article will examine the Bank of Japan's own statistics about inflation. This little game of theirs is very obvious now. Falling for it is unforgivable. This business of banks making borrowers pay all interest first, then principle, is monstrous. It would seem to imply (assert, really) that the borrowers have no equity in the property until all interest is paid! It looks to me that it also implies that the banks are betting on the actual failure of the loans. It's fairly clear to me that the laws should mandate at least that each payment should be apportioned between the principle and the interest in direct reflection of their relative proportions. A nation based on devious petty scams should expect big troubles, eventually. Well, the law we need YESTERDAY is one which mandates that banks apply deposits to accountrs FIRST, then withdrawls. As it is, they do the opposite, so as yo gank folks out of as many NSF charges as possible. Sadly, our fascist gub'mint will neber even consider such a law. The time for revolution is upon us. The story of the trucker in this post makes that all too obvious. Drug laws are all about confiscations. They don't even need the slightest proof of drug dealing, if you have money, they take it! Isn't that amazing. I wish you would give more links to you references. Don’t forget the expensive baubles like recreational vehicles, loans are being let for these items that are all but mortgages in name. A sister in law who works at an RV store was gushing this weekend about an RV they just sold which was on their lot. The price, $939,000 cdn. Blues, I have only one computer screen. I try to include many things but can't include them all because I am one person with a small screen to boot. So as I write, if I remember stuff, I toss it in simply because it is very time consuming as it is with my present template. Yes, the rec vehicles are silly. Only if you are a performer who needs to haul tons of equipment, do you need these. Indeed, what are hotels for, anyway? So you don't have to cook or make your bed! I LOVE hotels for this! Of course, I camped for 10 years so this is understandable. Twice, I stayed in hotels during those years. I loved it. Sounds like the job is much like many jobs, with or without the herb, a series of of heartsearching conversations which you suddenly realise when walking away were about the guage of a paperclip or the protocol for stuffing envelopes. Says more about the world of work than the workers me thinks. Programming at school just continues in to work.... its not about making money or spreading a message those are just side affects it's about control and what better way of controlling than deadening thought with analysis of a paper clip. Finance can now be approved up to 100% of the purchase price of a new home, which is an added bonus when a deposit has not been easy to save.